You'll be £12.99 closer to your next £10.00 credit when you purchase Russian Civil War. What's this? 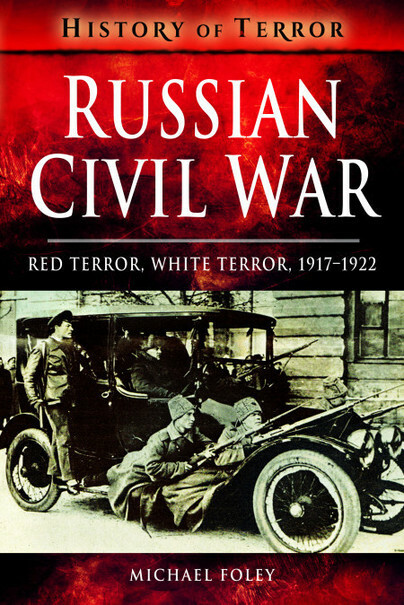 The Russian Revolution is remembered as the catalyst for the bloody conflict between the Reds and the Whites as each side tried to gain control of the country. But it was far from being so simple. The conflict did not only involve the Russians. The author contemplates whether the Russians could capitulate to their previous enemy and whether in fact Russia was ever in any condition to carry on the fight even before the revolution began, examining whether a collapse of the war in the east would lead to Allied defeat in the west. The effect of the revolution and the civil war went far beyond the borders of the enormous Russian Empire and far beyond the end of the Great War and the civil war, not least of all whom the millions of subject peoples and races supported: the Reds, the Whites, the Germans, or none. The conflict in Russia between 1917 and 1922 is a fascinating and complex period of history but the brutally colourful cast of characters – Tsar Nicholas II, Brusilov, Kerensky, Lenin, Trotsy, Stalin and Churchill – would make a violent impact on the world stage for a century to come. Michael Foley is a fine writer, and is to be complimented on his work on this book. The design and illustrations are particularly impressive. Many books on the Russian Civil War are often not best served by their illustrations but this book truly comes alive with them. Essential for anyone with an interest in this pivotal war. Michael Foley spent much of his teaching career in primary schools in the East End of London. After leaving teaching to become a full-time carer to his twin grandsons, who were severely disabled, he began to write seriously for the first time. Since then he has had more than twenty local and military books published. He has also had numerous articles published in magazines such as Best of British, This England, Essex Life and others. He has also had short stories published in My Weekly magazine. He lives in Romford with his wife and grandson.